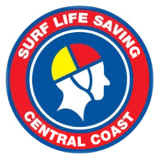 Since 1959, Soldiers Beach Surf Life Saving Club has been a volunteer organisation run by club members who are dedicated to community safety and protecting members of the public who surf and swim at our beach. Last Summer, 120,000 people visited Soldiers Beach with our patrol members doing more than 6000 patrol hours and responding to 128 rescues & serious incidents. These volunteer lifesavers performed around 2200 preventive actions (dangerous surf conditions have arisen and swimmers have been prevented from getting into danger in the surf), and 275 first aids. When you come to Soldiers beach, please find the red and yellow flags and always swim between them. Because, remember, if we can’t see you, we can’t save you. 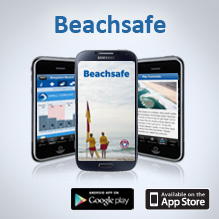 There’s nothing better than spending a hot day @ Soldiers Beach, but with a highly hazardous rating (7/10) from BeachSafe it can sometimes get dangerous due to rocks, rips, and waves. This is the reason why we need you – to become a trained, volunteer Lifesaver to help us save and protect people at our beach. Surf lifesaving is about having fun, being physically fit, learning teamwork and aquatic safety skills, competing in surf sports, and providing a safe beach and aquatic environment for the community. There is a place for everyone in surf lifesaving. If you would like to become a Volunteer Surf Lifesaver (Active member) at our Club and make a positive difference to the safety of the community, our beaches and be part of a wider Australian icon, Surf Life Saving Australia, please see our Membership & Surf Education sections on what you need to do to join the club and gain your Bronze Medallion and/or Surf Rescue Certificate (SRC). Already a SBSLC Member? – Sign into our Members Portal for further Lifesaving information and resources including Patrol Rosters.